Well, well, well…look what Google’s latest acquisition has brought back from the dead. 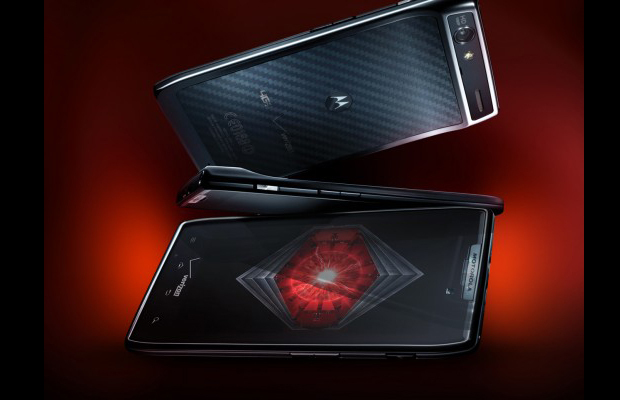 Behold: the Motorola Droid RAZR. Motorola made the official announcement today during its private NYC event, resurrecting the infamous dumbphone of the mid 2000s, which is set to return this holiday season and will tackle the Android OS platform. It’s being dubbed the slimmest smartphone of all time: measuring at only 7.1mm. Sweet. The new RAZR is also sporting some heavy-duty power, plus the manufacturer is offering its full suite of accessories: including the popular Webdock (as seen with the Droid Bionic and Atrix), smart controller, HD Station, HD Dock, and much more. Pre-orders begin on October 27 with the handset hitting retailers this November for $300 (w/ two-year contract, of course). Check out the spec sheet breakdown. Another huge revelation is the MP3/digital trainer device known as the MOTOACTV. Described as “a personal trainer and DJ by your side,” users can track their running activity such as calorie intake and heart rate performance: indoor or outdoor. It learns what songs motivate you and tracks performance stats with your fitness. That should make for some intense workouts. A wireless headset also comes bundled with the gadget that features an impulse monitor and allows for hands-free phone calls. Other notable facets include a tiny LCD screen, FM radio integration, and the capability of storing over 4,000 songs. Motorola also allows you to plan pre- and post-workouts that you can share on social media sites (Facebook, Twitter, etc.) through MOTOACTV.com. The MOTOACTV will be available on November 6 for $250 (16GB) and $300 (32GB). Needless to say, Motorola has a huge holiday season ahead of them. Hopefully we’ll catch some of you at tonight’s launch part with special guest 50 Cent. We’ll be in the building. What’s your thoughts on the Android-based Droid RAZR?